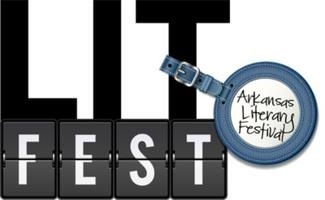 Today is the busiest day of the 11th annual Arkansas Literary Festival. Unless otherwise specified the events are free. Ron Robinson Theater: “Other People’s Secrets” – Mona Simpson (Casebook) and Curtis Sittenfeld (Sisterland) with moderator Eliza Borné. Room 124 of Arkansas Studies Institute: “Ecotone” – Kevin Brockmeier (A Few Seconds of Radiant Filmstrip), Cary Holladay (Horse People) and Rebecca Makkai (Astoria to Zion) with moderator Kyran Pittman. Ron Robinson Theater: “Canal Voyage” – Mary Roach (Gulp) with moderator T. Glenn Pait. Room 124 of Arkansas Studies Institute: “Fever & Fatherhood” – Mary Beth Keane (Fever) and Wiley Cash (The Dark Road to Mercy) with moderator Susan Moneyhon. Ron Robinson Theater: “The Fine Art of Suspense” – Catherine Coulter (The Final Cut) with moderator Susan Fleming. Darragh Center of CALS Main Library: “Class and Character” – Doug Wilson (Brooks: The Biography of Brooks Robinson) with moderator Rod Lorenzen. Room 110 of Arkansas Studies Institute: “Poetry II” – John Bensko (Visitations), Sandy Longhorn (Girlhood Book of Prairie Myths) and Ash Bowen (The Even Years of Marriage) with moderator Hope Coulter. Room 110 of Arkansas Studies Institute: “Make or Break” – Carla Killough McClafferty (Fourth Down and Inches) with moderator Rhonda Thornton. The Cox Creative Center will be having a used book sale on Saturday from 9am to 5pm. In addition there will be a used book sale in the CALS basement from 10am to 4pm.